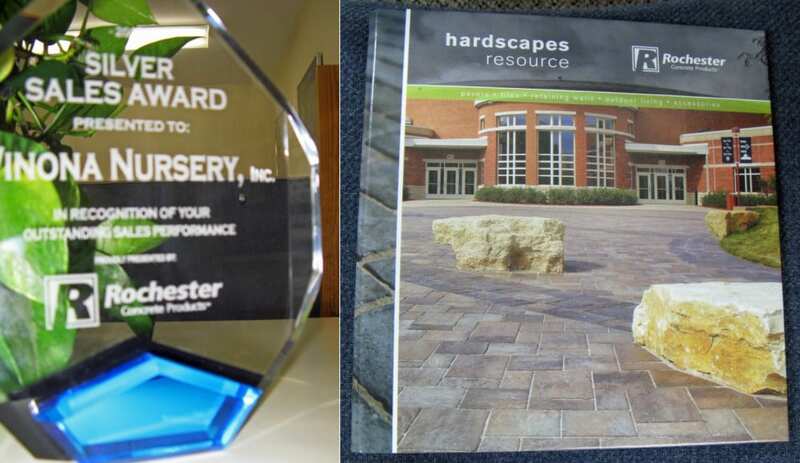 Well this has never happened to us before…an award AND one of our projects landing on the front cover of a supplier’s catalog! We didn’t even have an acceptance speech prepared. We’ll keep it short-and-sweet and tip our appreciative hat to Rochester Concrete and say a very heartfelt thank you to all you great customers who keep asking us to design and install new projects. THANK YOU!! !